The devil and violinists have a long mutual history. From the first, Paganini, through to Wieniawski, Sarasate, Heifetz and, more recently, Milstein, Ricci and Perlman, critics and audiences have identified these Stradivarian masters, with their bows locking like horns, as something almost super-human. 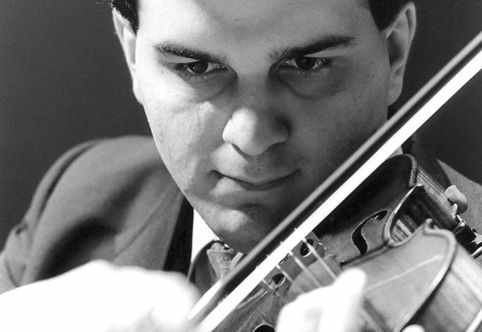 Gil Shaham, at the top of his profession for almost two decades, easily sits besides these supreme virtuosos of the violin. Indeed, in an album released on his former label Deutsche Grammophon, in 2000, Devil’s Dance, Shaham gave a tantalizing display of Faustian themed works by composers as disparate as Tartini, Bazzini, Brahms, Grieg and Sarasate as well as more recent works by John Williams and William Bolcom, two modern composers with whom Shaham has close working relationships. But the fascination with Shaham as a musician lies beyond the fact he can master the most taxing technical challenges; what he is also capable of, surprisingly rare among his generation of violinists, and, it should be said, from a student who studied with Dorothy DeLay, is a supreme artistry which affects his performances, from Bach and Berg through to Elgar, allied with a deeply considered musicianship. Perhaps it was not surprising that these three composers dominated our conversation for they are central to Shaham’s repertoire at this stage of his career. The major orchestras have long circumvented the cash-strapped record labels for in-house recordings. But it is rare for a soloist of Gil Shaham’s stature to have also gone along this route; he did so when he was inexplicably dropped by DG and set up Canary Classics. We meet at the London office of Knifedge, the company which promotes and markets his discs, the latest of which is a 100th anniversary tribute to Pablo de Sarasate who died in 1908 (the disc was recorded at Valladolid in Spain last November but was released this autumn). In terms of his concert and recital performances the theme for the autumn and winter through 2009/10 is solo Bach and concertos from the 1930s, two of which he will playing in London, the Berg and the Walton, concertos written three years apart (1935 and 1938/9 respectively) but hugely different in style and temperament. The programming is symptomatic of Shaham’s progressive thinking in offering strikingly different works as the focal point of his developing artistry. The first of his autumn London engagements was at the Wigmore Hall playing Bach (see review). I ask him about the hall, when he last played there and what he thinks of its acoustics. “I last played here about five or six years ago, in a recital with Akira Eguchi. I love the hall, especially its acoustics which are so warm for the violin. I also love the smallness of the hall and how you can feel so intimate with the audience. It’s one of my favourite halls anywhere. Concert halls, especially in New York, are usually bigger, but what makes the Wigmore so special is its personality. It’s not just about the sound it’s also the character. The thing about the Wigmore is that it has this incredible tradition. Every year you walk past it and you see what the season is going to be, and it’s just such a privilege to play there”. As with so many great violinists (notably one of his mentors, Itzhak Perlman) Bach has come quite late to Shaham, especially in live recital. The six Sonatas and Partitas remain the summit which any violinist must climb, but their acute technical and interpretative problems often take a lifetime to master. His Wigmore Hall recital contains just three of the works – the Partita No.3 in E BWV1006, the Sonata No.2 in A minor BWV1003 and the Partita No.2 in D minor BWV1004. The choice is carefully considered – the partitas framing the sonata, the freer format of the E and D minor works contrasting with the more formal structure of the A minor. As Shaham says, “I’ve been putting the works in my programmes over the past two years. I grew up playing the Sonatas and Partitas, studying them, but I was always worried about playing them in public. About four years ago I decided to start studying them again; I figured if I don’t start playing them now then I never will and I won’t get any better at playing them. I’ve been adding a new one every year since but I don’t have any plans yet to record the works. Maybe five years, maybe ten years. This is my first season playing an all Bach programme – in fact, I started last month (September, 2009) at a school fundraiser at home in New York. They’re amazing pieces, and I shall be playing them more and more over the next few years. This music is just amazing; it’s like when I start playing them I have a hard time walking away from them. I find myself going back and back and just enjoy them”. Moving on from Bach, we discuss the two greatest concertos written in the last century, those of Elgar and Berg. 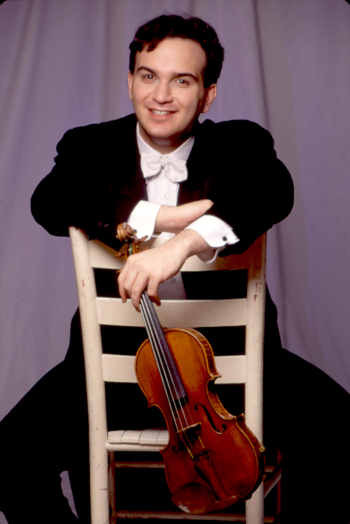 I first heard Gil Shaham play the Elgar with the Philharmonia Orchestra and David Zinman some years ago, and since then have heard him in the same work with the Pittsburgh and Chicago Symphony Orchestras and the Berliner Philharmoniker. Every performance has been exceptional. Reviews have been overwhelmingly positive, his recording on Canary Classics with the CSO and Zinman (from a live performance) sweeping the board, though it owes more than a little debt to the underrated Perlman recording with Barenboim. Tim Parry, for Musicweb, described the performance as “the most passionate and intense I have heard in years… Gil Shaham is the perfect soloist for Elgar’s sprawling Romantic concerto. A supreme technician, he is also a wonderfully soulful artist”. BBC Music Magazine described the performance as having “some real marvels: the cello-like tone on the G string, the supremely hushed first expounding of the second subject, the way the final cadenza blows about in the breeze”. Gil Shaham may have been born to scientists – his father was an astrophysicist, his mother a cytogeneticist – but in New York it is music that dominates both his professional and personal life. He is married to the violinist Adele Anthony who plays three of the works on their most recent disc, Sarasate, Virtuoso Violin Works (they are the duetting couple in Navarra for 2 violins, Op.33). As I leave he asks me if I have seen the promotional video that they filmed to coincide with the release of the Sarasate CD, Gil run Gil. As they run around New York, filming at a frenetic pace – it’s a kind of chicken run to the music of Sarasate – I’m reminded of the man who at a Seattle recital came back stage and told Shaham that until that concert he had forgotten just how good a composer Sarasate was. This surely is the genius behind Gil Shaham – an artist with the ability to make us completely rethink what we are listening to. Gil Shaham will play the Berg Concerto with the London Symphony Orchestra and Michael Tilson Thomas on 5 November, 2009 at the Barbican Centre. He will play the Walton Concerto with the Philharmonia Orchestra and Hugh Wolff on 13 May, 2010 at the Royal Festival Hall.